If you’re new to exercise or if you are just getting back in the swing of things after a hiatus from the gym, it can often be intimidating to try new machines. While you might be worried that you won’t figure out how to use new exercise equipment, many gyms will provide you instruction on how to use the machines from a gym employee. Those people in your exercise class who look like they were born to do the routine do have something you don’t: more classes under their belt. Getting your bearings in a class takes time, so don’t worry if you don’t know all the steps or poses right away—everyone was a beginner at some point. Unfortunately, injuries do happen to even the most experienced exercisers, but there are plenty of ways you can limit your risk of getting hurt. Stretching before you exercise can help limber you up, and cooling down after your workout can help gradually lower your blood pressure, reducing your risk of dizziness or a fall. 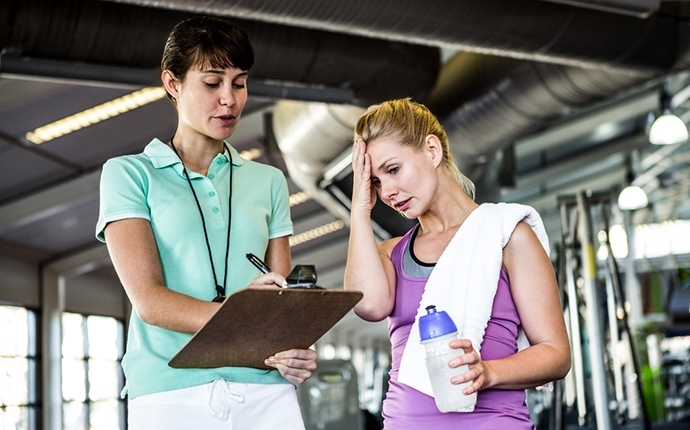 One of the most important factors in avoiding injury is making sure you’re armed with the right information before you hit the gym; trainers and other gym staff are there to help, so if you’re not sure about how to use a machine or do a particular pose, just ask.